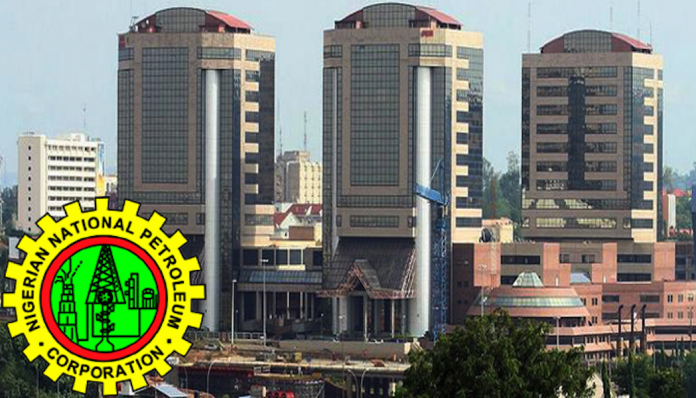 The Nigerian National Petroleum Corporation (NNPC) has signed a Final Investment Decision (FID) with its Joint Venture (JV) partners – Shell Petroleum Development Company (SPDC), Total Exploration and Production Nigeria (TEPNG), and Nigeria Agip Oil Company (NAOC) to develop the 4.3 trillion cubic feet (tcf) Assa North/Ohaji South fields (ANOH) located in Oil Mining Lease (OML) 21. The corporation in a statement by its Group General Manager, Public Affairs, Mr. Ndu Ughamadu, explained that the development was major step taken by the partners to enable Nigeria achieve sufficiency in domestic gas supply. It said that the project, when fully developed, would add about 600 million standard cubic feet of gas per day (mmscfd) to the national gas grid with capacity to expand to 1.2 billion cubic feet per day (bcf), while another 197 million stock barrel (mmstb) of condensate will also be realised. According to the statement, NNPC’s Group Managing Director, Dr. Maikanti Baru, described the ANOH project as a critical gas supply hub in Nigeria’s burgeoning gas-infrastructure network designed to provide the linkage between the eastern, western and northern gas pipeline system. Baru, who was represented at the FID signing ceremony by NNPC’s Chief Operating Officer (COO), Upstream, Mallam Bello Rabiu, said the successful completion of the multi-faceted project which is an integral part of the corporation’s seven critical gas development projects, would be dependent on a number of critical success factors and enablers which include synergy and team work between NNPC and all the key stakeholders. He reportedly thanked stakeholders for signing the FID on the ANOH project after about 14 years of it been on the board. Baru, also noted that the NNPC and its JV partners have worked on all the issues and developed a sustainable strategy to develop the considerable gas resources in ANOH fields. “Finally, I will like to conclude with immense compliments to the NNPC, Shell Petroleum Development Company (SPDC), Total Exploration and Production Nigeria (TEPNG) and Nigeria Agip Oil Company (NAOC), project teams and other critical stakeholders as we enter into the next major phases – Engineering, Procurement and Construction (EPC) of this project,” Baru, was quoted to have said. He added that the corporation would continue to leverage on available expertise and capital from its global outreach to accelerate and deliver on first gas from the project between the last quarter of 2019 and the first quarter of 2020. To this end, the statement explained that the NNPC has engaged two world-class project management consultants – DeltaAfrik/Worley Parson and Crestech/Penspen, to work with the partners and other stakeholders to achieve set project deliverables. In addition, the statement indicated that the NNPC’s project management teams would be expected to strengthen oversight functions by ensuring prompt decision making and timely approvals for the project. Also, the Managing Director of SPDC and Country Chair of Shell Companies in Nigeria, Mr. Osagie Okunbor, was quoted to have said that Shell was committed to the successful implementation of the project. Osagie, according to the statement, commended the resilience, diligence and enthusiasm of the project team, and emphasised that the ANOH project would offer immeasurable opportunities for Nigerian firms to benefit from EPC contracts. He also announced the inauguration of boards to administer the Global Memorandum of Understanding (GMoU) for the two clusters of the project to the tune of N1 billion for development projects within the host communities for the next five years. Equally, the Managing Director of TEPN, Mr. Nicholas Terraz, and that of NAOC, Lorenzo Fiorillo, were reported to have aligned their companies with the aspirations of NNPC to ensure timely completion of the project.